The Next Mining Boom presents this information for the use of readers in their decision to engage with this product. Please be aware that this is a very high-risk product. We stress that this article should only be used as one part of this decision making process. You need to fully inform yourself of all factors and information relating to this product before engaging with it. Simple, yes. But far from insignificant. This company has hold of the world’s largest soft saprolite (clay)-hosted graphite resource at its Malingunde Graphite Project in Malawi. The company is targeting a simple mining and processing operation, selling high-quality graphite concentrates into existing traditional markets. It’s a business squarely focused on fundamentals: delivering very low cost production with best in class margins. Its end goal? Economically produce graphite without relying on extreme size to achieve economies of scale. This low-cost, high-quality, simple formula gives this company a serious edge over its peers. 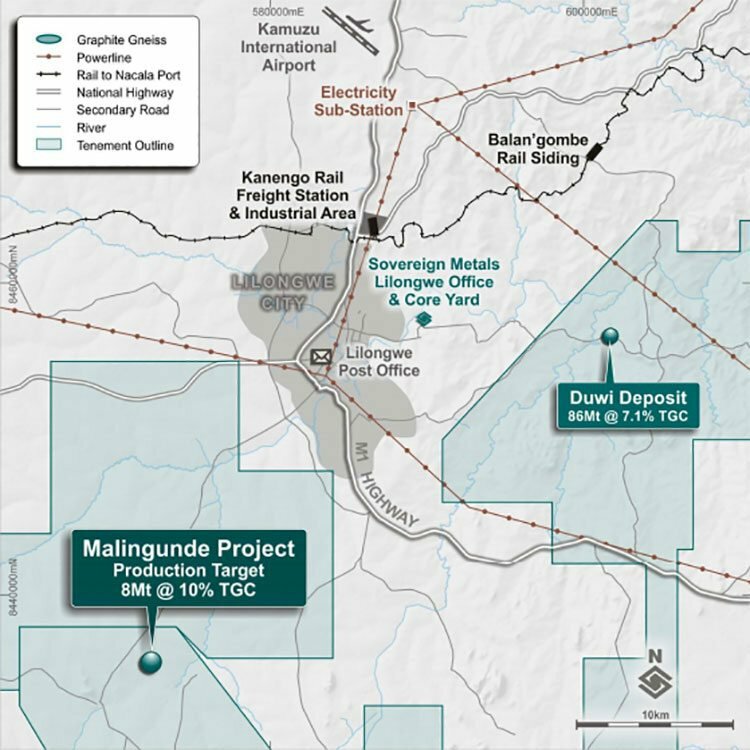 Backed by resources industry veteran, Ian Middlemas, and a team that has previously crystallised more than AU$3 billion in value to investors, the graphite junior has prepared a scoping study delivering a rare combination of low capital and operating costs at a realistic scale of production. In fact, the expenses revealed here sit at the very bottom of the graphite supply cost-curve. 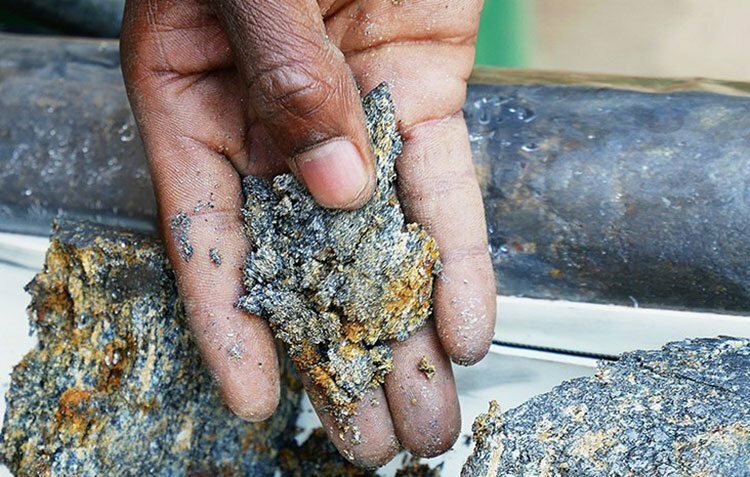 The Malingunde Project has potential to support an annual graphite concentrate production of about 44,000 tonnes over an initial mine life of 17 years. What’s more, the company is also expected to achieve payback in under two years, calculated using conservative graphite pricing. The project already has a soft saprolite-hosted, natural flake graphite JORC Resource. Unlike hard rock graphite deposits, which most of SVM’s graphite peers are dealing with, saprolite is very soft and is free-digging, requiring no drilling and blasting of the ore.
Additionally, the material doesn’t require primary crushing or grinding in the process plant. This will translate to substantially reduced mining and processing costs and lower capital requirements. 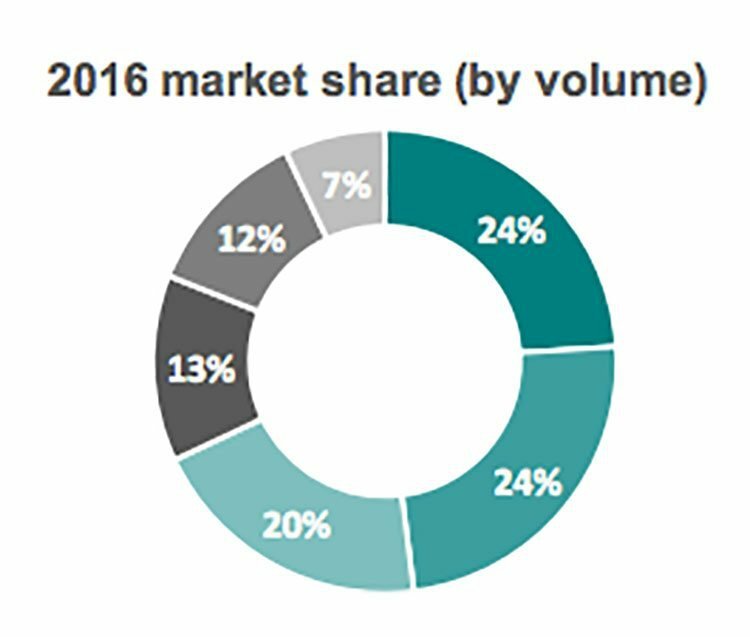 Low costs will enable sales into existing traditional markets, such as refractories and foundries, and at a competitive price point, retaining the growing lithium-ion battery market as appealing upside. More encouraging news is that even when graphite prices are low, the project will generate significant cash margins thanks to its low operating expenses. It’s still early days yet, but these low-cost, high-quality dynamics should enable this $23.9 million-capped explorer to compete on price point with China, which is the world’s largest and lowest cost graphite producer. 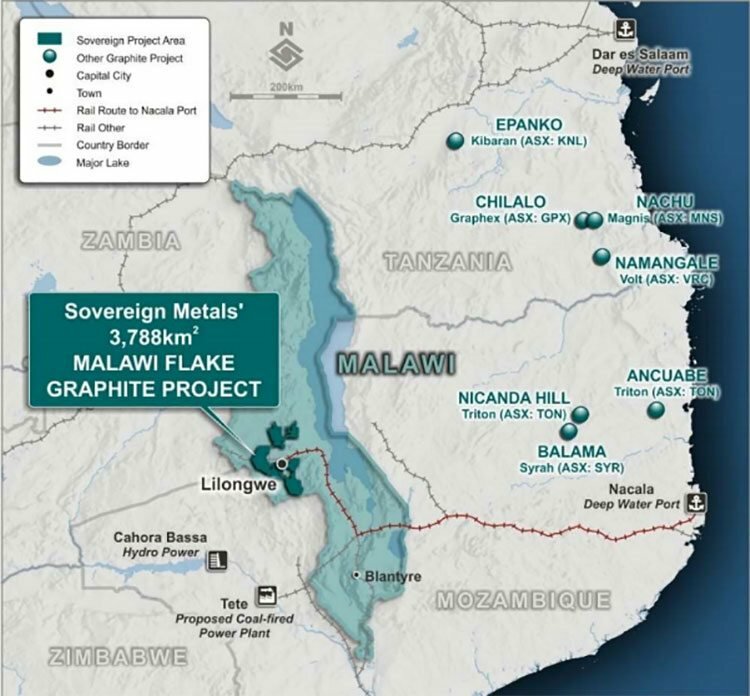 Sovereign Metals Limited (ASX: SVM) is an emerging graphite explorer with a keen focus on its 100%-owned Malingunde saprolite-hosted flake graphite deposit in Malawi. With its Malingunde Project, SVM’s aim is to generate value through a simple, low-cost strategy with best in class margins. SVM has a total ground package of 3,788 square kilometres at its Malingunde Project, just 20 kilometres south-west of Malawi’s capital city, Lilongwe. As far as East African graphite explorers go, SVM’s proximity to infrastructure is unparalleled. The project is 25 kilometres from the railway operated by mining giants Vale and Mitsui, for direct and inexpensive access to the deep-water ports at Nacala in Mozambique, and 20 kilometres from a major power sub-station. Water supply is also available in the area for operation. Malingunde is currently serviced by an unsealed road approximately 16 kilometres long from the southern suburbs of Lilongwe. The major M1 highway connects through Lilongwe to the rail container dry port at Kanengo, a total of 35 kilometres by road from Lilongwe. All of this points towards reduced costs and ease of movement, should SVM manage to get commercial production up and running. There is also ample upside for further discoveries of saprolite-hosted flake graphite across SVM’s large, 100% owned tenement package. Reassuringly, SVM is backed by Ian Middlemas and a team that has previously crystallised more than AU$3 billion in value to investors, including extraordinary recent success in Africa with Papillon Resources and Mantra Resources. Middlemas has an enviable track record of identifying and developing major resource projects, especially in Africa. He held the position of Chairman of Mantra Resource, which had a focus on uranium in Tanzania and was acquired for more than AU$1 billion. He also oversaw a AU$700 million merger as Chairman of emerging Mali gold developer, Papillion Resources, with B2Gold Corp.
Additionally, Julian Stephens, SVM Managing Director, has been operating in Malawi since 2006. Stephens has expansive knowledge of the terrain and its geological potential, as well as strong relationships with both government and private sector personnel. In short, the kind of team you’d want at your helm if you were seeking graphite in East Africa. 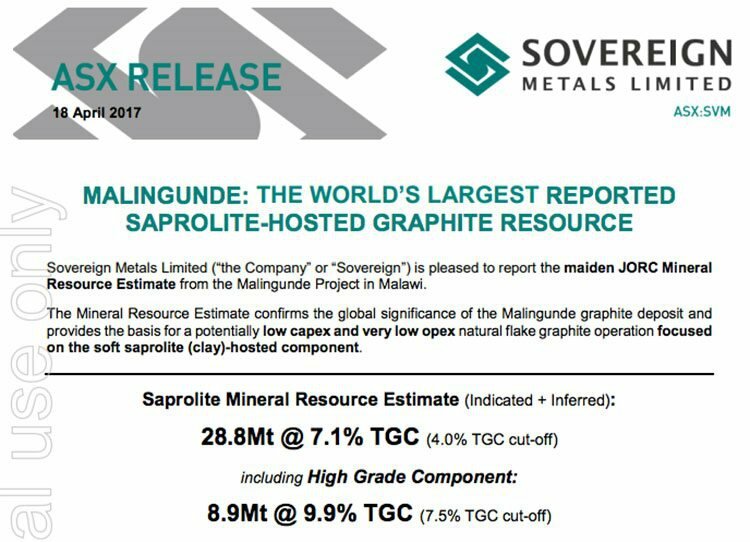 As we mentioned earlier, SVM already has a maiden JORC Resource for Malingunde, which it announced in April . Surely enough, the Resource confirms Malingunde global significance as the world’s largest reported soft saprolite-hosted graphite Resource. The project has an Indicated and Inferred Resource of 28.8 million tonnes at 7.1% TGC (total graphitic carbon) at 4% TGC cut-off, including a high-grade component of 8.9 million tonnes at 9.9% TGC (7.5% TGC cut-off). Saprolite is a very soft, graphite-bearing, clay-rich oxide material that is formed from intense weathering of the original underlying bedrock. Saprolite-hosted graphite deposits are highly sought after, generally having lower cost requirements and simple processing compared to hard rock graphite mines. This is a significant point of difference for SVM. In contrast, almost all of its graphite peers are hosted in hard rock. Typically, this saprolite material produces the lowest-cost flake graphite due to ease of mining (with low strip ratios) and reduced blasting and crushing requirements. Malingunde ore test work has exhibited quality concentrates produced via a simple flowsheet, with metallurgical consistency and large flake size distribution. All soft saprolite is within 30 metres of surface and will be free-dig mining with very low strip ratios, which should equate to much lower life-of-mine mining costs. The soft, near surface, coarse flake and high-grade nature of the Resource presents the dual advantage of low costs and production of a premium quality graphite concentrate. To make things really official, all of this potential has also been validated by SVM’s scoping study delivered in June . The scoping study amply demonstrates the Malingunde Project’s potential to support a very low cost operation with annual graphite concentrate production of about 44,000 tonnes over an initial mine life of 17 years. Total operating costs of about US$301 per tonne concentrate are at the very bottom of the graphite supply cost curve and the lowest of any reported ASX-listed peer company of scale. Total capital cost of US$29 million for production of 44,000 tonnes of concentrate per annum, the lowest capital intensity among SVM’s peers. SVM is looking at a very rare combination of low costs at a realistic scale of production. This makes it a kind of unicorn when it comes to graphite producers. 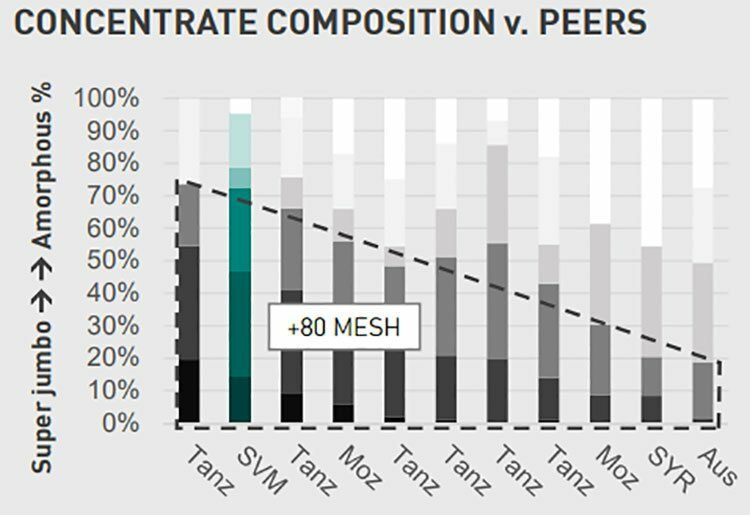 In contrast, many of SVM’s peers are only economic at unrealistically large scale, and only when niche or highly optimistic graphite pricing is applied. SVM may also be able to achieve payback in under two years using conservative graphite pricing assumptions. As we’ve also touched on, very low mining costs are expected due to the soft saprolite being free-dig, with a low strip ratio of 0.5:1. 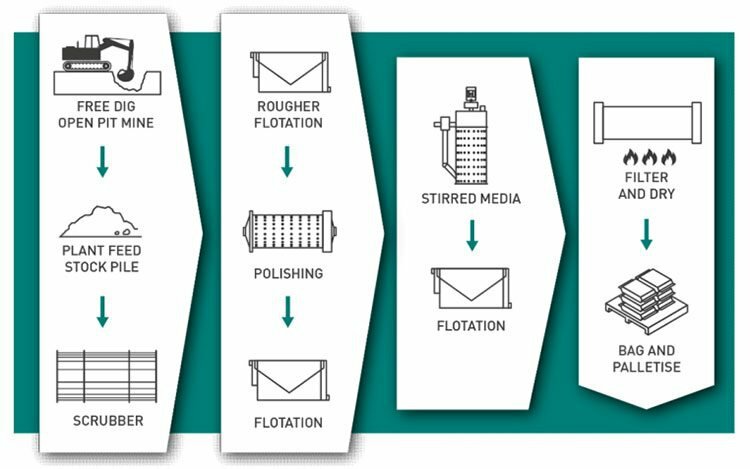 A simple process flow sheet and plant design with no primary crush or grind, using ‘off the shelf’ equipment will make for rapid and cost-effective construction with very low processing costs. The process flowsheet incorporates an upfront scrubber (similar to a trommel) to wash and disaggregate the graphite flakes from the host material prior to flotation. This provides significant capital and operational cost benefits over traditional hard-rock crushing and milling equipment. The product itself is of premium quality, with excellent concentrate grades and a very large proportion in the superjumbo and jumbo categories. 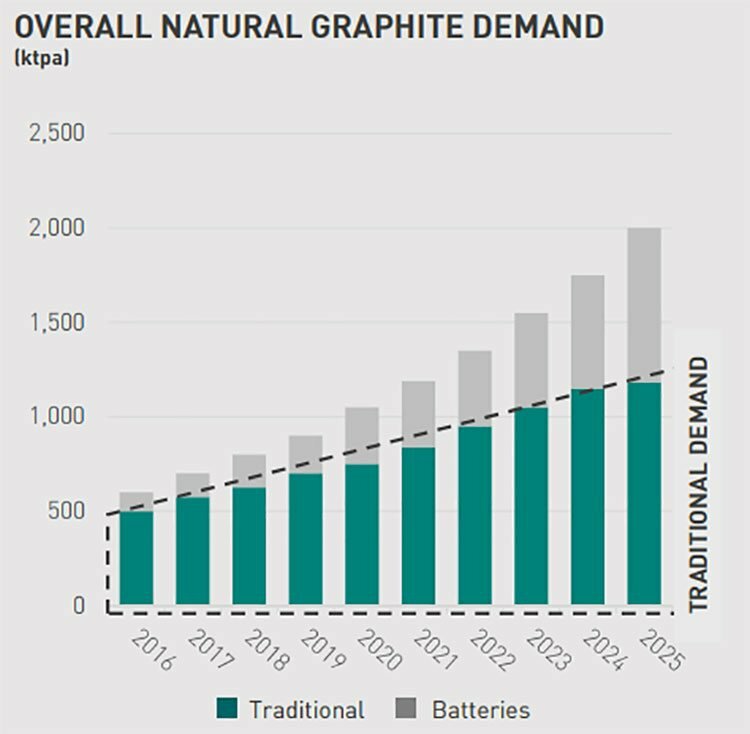 It’s important to note that this project isn’t reliant on an unrealistically large scale to reduce operating costs or overly optimistic graphite pricing forecasts. This will provide a hefty advantage when seeking potential offtake partners and when financing for development comes up. 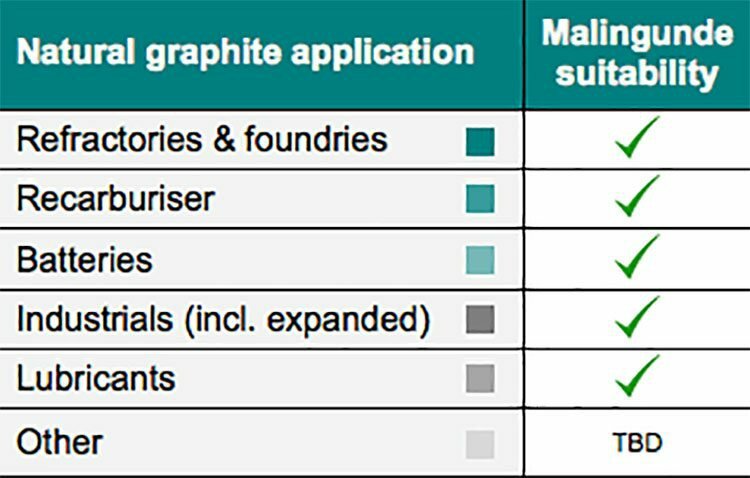 Production from Malingunde is anticipated to have amongst the very lowest unit operating cost of the future graphite development pipeline, at a scale that can easily be placed into existing traditional markets, primarily in China. It also almost goes without saying that long-term growth forecasts for energy storage are compelling. Regular readers will know how we at Next Mining Boom feel about the emerging renewable battery rally. Yet SVM is taking a cautious, risk-mitigating approach and is targeting existing markets first and foremost. SVM is focusing on entry to these high-volume, high-value, traditional markets. Therefore it’s not reliant on lithium-ion battery demand, although future entry to that market brings additional upside value. Of course, SVM does remain a speculative stock, so investors should seek professional financial advice if considering this stock for their portfolio. Recent spheroidisation test-work highlights that Malingunde products have strong potential to be suitable as lithium-ion battery feedstock. Further battery suitability development test works are also on the way. The rare combination of low cost and high-quality concentrates that SVM has tapped enables the graphite at Malingunde to compete on price point with China, the world’s largest supplier and consumer of natural flake graphite (and also the cheapest). ...So being able to compete on price with China will be critical to SVM’s project success. 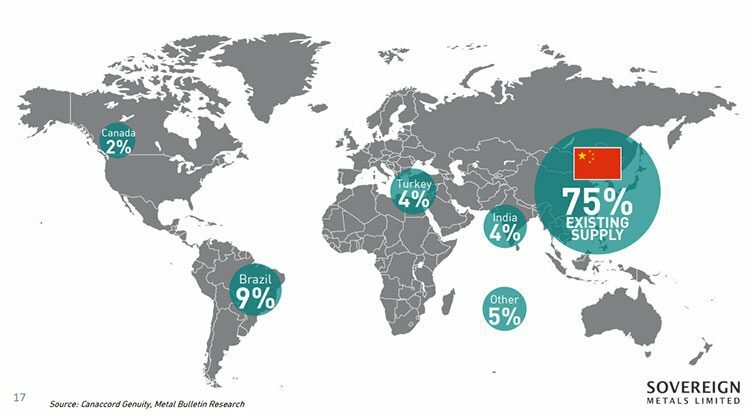 It’s also worth noting that Chinese supply might be on the decline, owing to increasing domestic demand, multiplying value-added and export taxes, depletion of low cost deposits, and tightening environmental regulations. These factors create considerable supply problems for China. 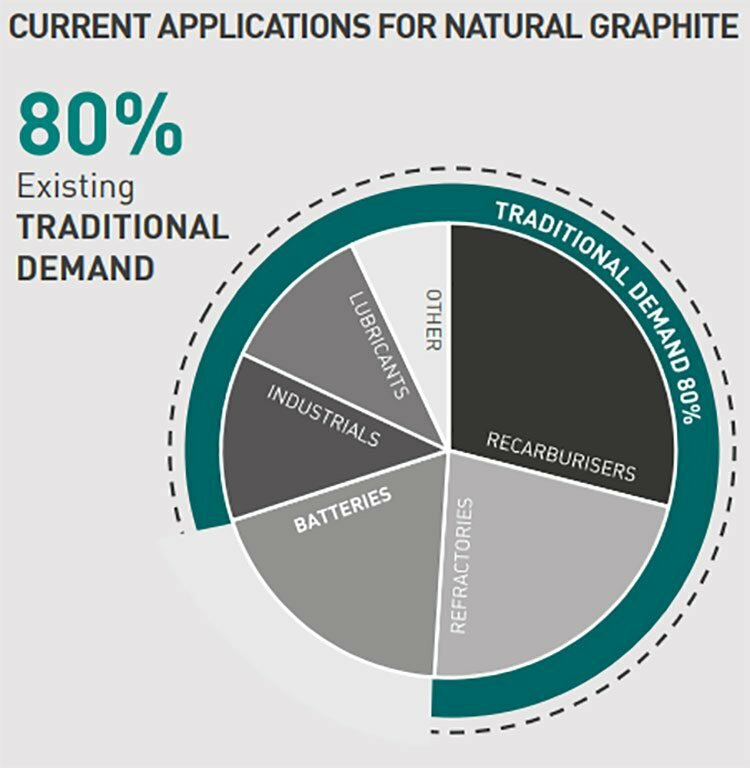 This could put SVM in an advantageous position if it can manage to shape up a commercial graphite production. As it prioritises simplicity in this low-cost, high-quality operation, SVM has attracted the attention of Taylor Collison analyst, Ryan Armstrong. Back in May, Armstrong placed a 28 cent target price on SVM and identified the low costs of the Malingunde Project as a positive step towards fast-tracking production. Of course broker projections and price targets are only estimates and may not be met. 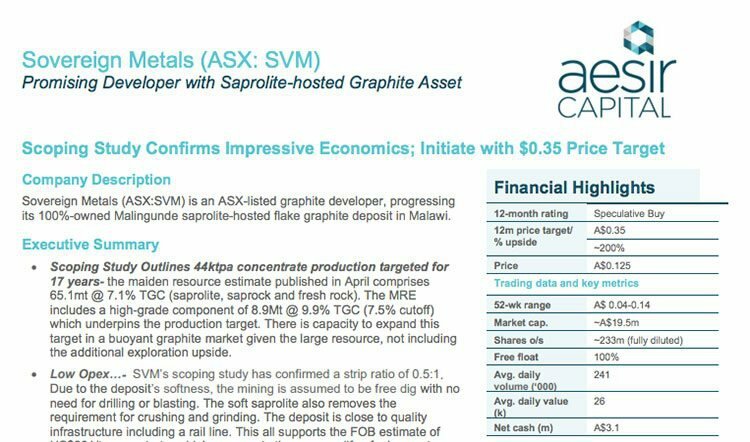 Then in July, SVM caught the eye of analysts at Aesir Capital, who assigned a 35 cent target price, which represented a 200% upside to the July share price. They say production could easily double depending on offtake arrangements and demand for SVM product. Again, this price target and broker projection is speculative and may not be realised. All in all, however, there is a pretty good outlook for this rising graphite junior. Malingunde has the potential to be a world-class asset, with low costs and high revenues per tonne of concentrate likely resulting in a high margin operation. This puts SVM in a unique position. There’s also plenty of room for additional discovery across SVM’s entire tenement package, which spans some 3,788 square kilometres, especially given the numerous zones of saprolite mineralisation discovered at Lifidzi 20-30 kilometres to the south, and the large area of unexplored ground. Exploration to date has only scratched the surface of this potential, and current datasets suggest that there could be several hundred kilometres of cumulative strike length of saprolite-hosted graphite mineralisation in the area. Now that SVM has its excellent scoping study outcomes under its belt, the road from here is expected to be steady and thick with news flow as the company transitions towards development. SVM can now embark upon feasibility studies, and discussions with potential off-take partners are well advanced. In the pipeline are also product sales agreements to be developed, permits to be arranged, and project finance. These are each potential catalysts for this $23.9 million-capped ASX explorer. As is, further metallurgy is expected towards the end of August. With a plethora of activity marked out on the horizon, we could be tracking SVM very closely over the coming months, and will be sure to keep you updated.